Get food storage containers from OfficeRock.com and keep each and every eatable fresh and organized. 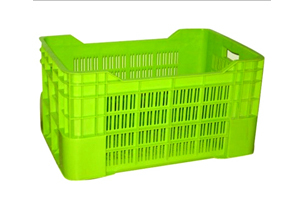 We offer a water bottle rack for keeping water bottles in place, food crates for storing food items, and vegetable crates for keeping vegetables and fruits. Food items that you are planning to store should be stored in food grade containers like these in order to keep them fresh and safe. These containers do not contain any artificial chemicals, nor do they transfer any chemicals that are harmful for us. We make sure that our food containers are safe, durable, and easy to use. Order your water bottle rack, food crates or vegetable crates from OfficeRock.com and store your foods and beverages safely and conveniently.